This ticket is valid for a family of 3 (2 adults + 1 child OR 1 adult + 2 children). 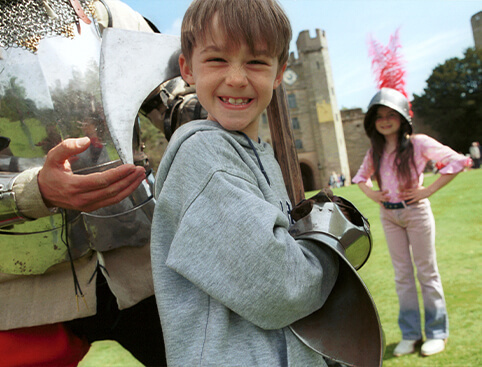 Opening Times: Warwick Castle is generally open between 10am-4pm. Duration: 1 Full Day entry to Warwick Castle. 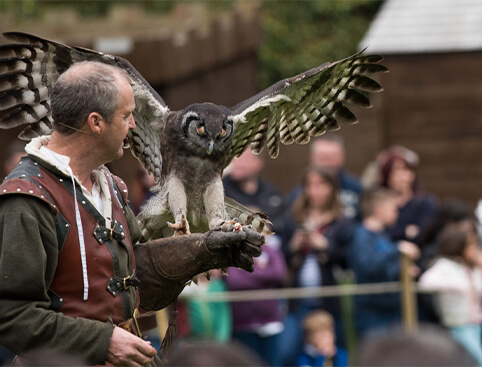 Address: Warwick Castle, Warwick CV34 4QU. The Castle is well signposted, and less than two miles from junction 15 of the M40. Additional Information: Castle Dungeons are not included in this ticket. Car parking is available for £6 per day in the Stratford Road Car Park and £10 a day in the Stables Car Park. This ticket is valid for a family of 4 (2 adults + 2 children OR 1 adult + 3 children). This ticket is valid for a family of 5 (2 adults + 3 children OR 1 adult + 4 children). Opening Times: VALID FOR ARRIVALS AFTER 12PM ONLY. 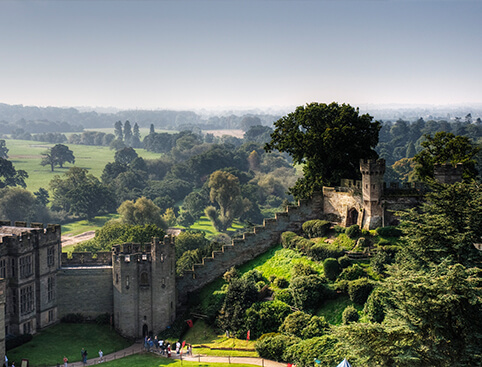 Warwick Castle is generally open between 10am-4pm. Duration: Half Day entry to Warwick Castle. 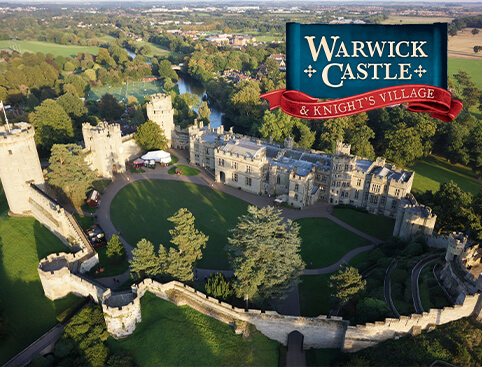 Duration: 1 Full Day entry to Warwick Castle + Cream Team in The Coach House Restaurant. Additional Information: Includes a cream tea served in The Coach House Restaurant with freshly baked scone, clotted cream and jam plus a pot of tea. Please note Castle Dungeons are not included in this ticket. Car parking is available for £6 per day in the Stratford Road Car Park and £10 a day in the Stables Car Park. 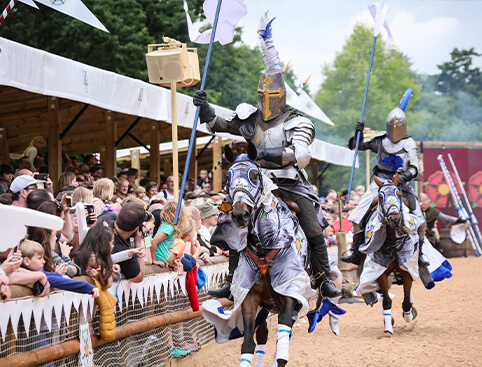 Exciting events take place every day at Warwick Castle, including jousting, jesting, fighting knights, falconry and the mighty Trebuchet – the world’s largest siege machine! You can even learn the art of archery with the Warwick Bowman.